A.P. 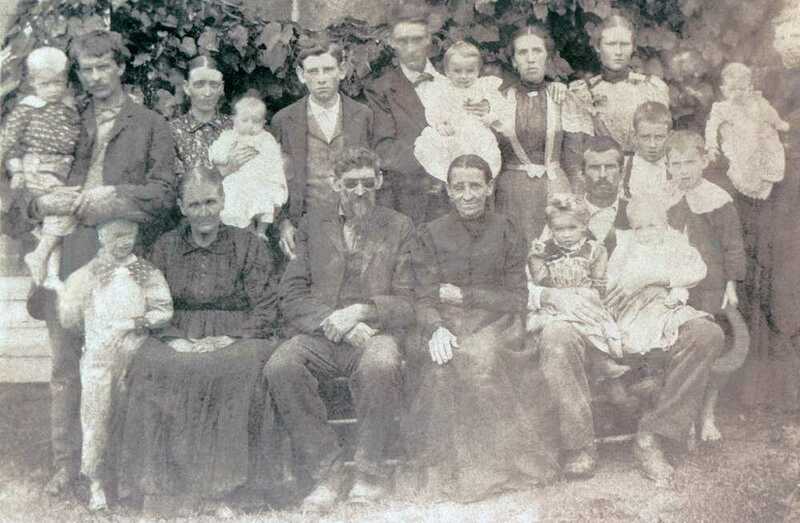 Carter is born in Poor Valley (known now as Maces Springs), Virginia, the first of eight children of Robert and Mollie Bays Carter. Nearly struck by lightning during her pregnancy, Mollie forever after will ascribe A.P. 's tremor, and the quaver for which his singing will become known, to that near miss. Ralph Peer is born in Independence, Missouri, the son of a furniture retailer. After serving in the navy in World War I, Peer goes to work first for the General Phonograph Company and later for the Victor Company, in whose service he eventually discovers the Carter family. 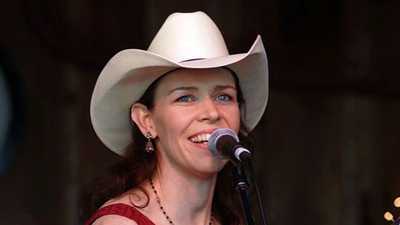 July 21: Sara Dougherty is born in Wise County, Virginia, to Sevier and Elizabeth Kilgore Dougherty. Sara's mother will die when Sara is three years old, and her father leads a nomadic existence, traveling around staying with relatives. Sara will be left with her uncle and aunt, Milburn and Melinda Nickels, in Copper Creek, Virginia, over the mountain from the Carters' ancestral home in Poor Valley. A.P. grows up surrounded by music, performing in the church quartet and helping his uncle, Flanders Bays, with his traveling singing school. On her side of the mountain, Sara is learning to sing and play the autoharp. May 10: Maybelle Addington is born in Midway, Virginia, near Sara's adopted home in Copper Creek. As a child, she learns to play banjo and guitar, later inventing the guitar-picking style that will become known as the "Carter Scratch." A.P. goes to Richmond, Indiana, to work on the railroad, with the idea of earning money to buy a farm back home. But instead he comes down with typhoid fever, and returns to Poor Valley broke and dispirited. While working as a salesman for his uncle, who is then selling trees and shrubs for a nursery, A.P. walks over the mountain to Rich Valley to make a sale to his Aunt Susie. As he approaches the house, he hears, then sees, Sara Dougherty singing. He falls in love with Sara instantly. June 18: Sara and A.P. are married, and A.P. takes Sara back to his home in Poor Valley. A few years later, they will move to a larger house and farm up the hill in Maces Springs, where they participate in the church choir and other local musical events. They will eventually have three children together: Gladys Ettaleen, Janette, and Joe. Sara and A.P. borrow a car to drive to Charlottesville, Virginia. On the way back, the car breaks down, and they manage to raise enough money putting on a concert in a nearby schoolhouse to get the car fixed. December 13: Maybelle Addington goes to Maces Springs to do a schoolhouse show with A.P. and Sara. On that trip she meets A.P. 's dashing brother Ezra, known as Eck. They fall in love, and will be married the following March. A.P. and Sara audition for a Brunswick record scout in Kingsport, Tennessee, but he passes them over because Sara -- not A.P. -- is the lead singer. The scout tells them that a musical group with a female lead singer will never sell. July: A.P. sees an announcement in the local newspaper for auditions being held by the Victor Company in Bristol, Tennessee. He borrows his brother's car and takes Sara and Maybelle to try out. They record six songs over the course of two days, and return to Maces Springs $300 richer. The Bristol Sessions is the beginning of the Carters' long association with the Victor executive and record scout Ralph Peer, and the beginning of their careers as professional musicians. These sessions will also launch the career of Jimmie Rodgers. November: Victor releases the first two songs from the Bristol session, "Poor Orphan Girl" and "Wandering Boy," followed a few months later by "The Storms Are on the Ocean" and "Single Girl, Married Girl." The songs sell so well that Peer, realizing the Carters' star potential, summons them for a second recording session in Camden, New Jersey. May: The Carter family travels to New Jersey for its second recording session with Victor. Among the songs they record is "Wildwood Flower," which will be named by National Public Radio decades later as one of the 100 "most important American musical works of the twentieth century." February: The Carters return to Camden for a third recording session. As in the previous Camden session, Peer pays them $50 per song, plus royalties on copyrightable songs. October 29: The stock market crashes on Black Tuesday. The irrecoverable financial losses will lead to an economic slowdown, growing unemployment, and soon, the Great Depression. The Carters' records have sold over 700,000 copies. 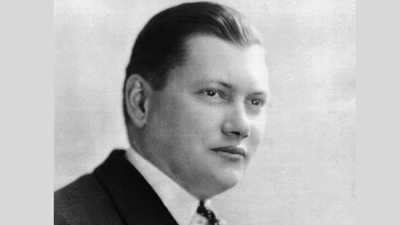 The quack physician and entrepreneur John Romulus Brinkley moves to Del Rio, Texas, and founds a radio station, XERA, just over the Rio Grande in Mexico. Brinkley's innovation will inspire a number of copycat stations, giving rise to the phenomenon of "border radio." June: At Peer's behest, the Carters travel to Louisville, Kentucky, for a recording session with Victor's best-selling artist, Jimmie Rodgers. In a natural disaster that will last for eight years, drought causes massive dust storms across the Midwest and Great Plains, forcing millions of people from their farms in the epic of the Dust Bowl. The difficult years will be memorably described in John Steinbeck's celebrated novel, The Grapes of Wrath. Peer renews the Carters' contract, this time with himself instead of Victor. The five-year contract gives the Carters $75 per song; Peer takes all the royalties. While A.P. is out on the road collecting songs, Sara falls in love with his cousin Coy Bays, and subsequently has an affair with him. In order to avoid unpleasantness, Coy's parents move to California, taking Coy with them. Sara moves out of A.P. 's house and returns to her childhood home in Rich Valley, leaving the children with A.P. Despite Sara and A.P. 's estrangement, the family continues to give performances and make records with Victor, ARC, and later Decca. But with Sara no longer living in Maces Springs, it becomes harder for A.P. to spend so much time on the road gathering music, and he turns instead to his own imagination. By 1935, Maybelle and Sara are working up new material on their own. September: After three years of trying to reconcile with her husband, Sara gives up and sues A.P. for divorce. Exhorted by Peer and his wife, Anita, the family continues to perform together professionally. Consolidated Royal Chemical Corporation pays the Carter Family the unheard-of sum of $75 per week, each, to do two shows a day on the border radio station XERA. The Carters move to Del Rio, Texas. Their music is broadcast by XERA's 500 kilowatt transmitter to most of North America. February: Sara dedicates a song to Coy on XERA. Coy, living in California with his parents, hears the song and goes to Texas to find Sara. Coy and Sara are reunited, and marry on February 20 in Brackettsville, near Del Rio. Consolidated Royal sponsors a second season of the Carters on XERA, this time including Maybelle and Eck's three daughters, Helen, June and Anita. The Carters' sales start going up again, spurred by the radio shows and the improving economy. Mexico and the United States sign a broadcasting treaty that effectively shuts down XERA. Consolidated Royal sponsors the Carter family for two more seasons, from 1941 to 1943, on a local radio station in Charlotte, North Carolina. Sara travels from California, where she is now living with her husband Coy Bays, to participate in the show. Fall: Life magazine sends a photographer to Maces Springs to take pictures of the Carters. The pictures are to appear on the magazine's cover, but on December 7, less than a week before the magazine goes to press, the Japanese bomb Pearl Harbor. Magazines shift to reporting on the war buildup, and the Carter Family story will never run. March: With the Charlotte contract having run its term, Sara returns to California, and the original Carter Family is no more. Maybelle and her daughters play on, first on local stations in Richmond, and later in Knoxville and at Nashville's Grand Ole Opry. A.P., Maybelle, and Maybelle's daughters meet for a musical reunion in Knoxville, giving a number of performances on WNOX radio. Carter family members continue to work as performers. Helen, Anita, and June continue in music, at first with their mother and later on their own. In 1949 Eck and June travel to New York, where June has a contract to record for RCA. There she makes records of "Plain Old Country Girl," and a parody of "Baby, It's Cold Outside," with Homer and Jethro. 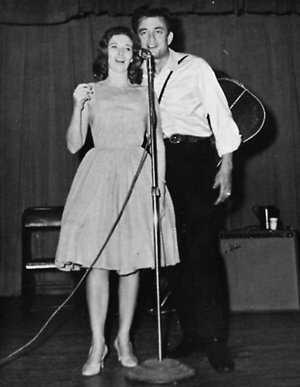 June Carter meets another country music performer, Johnny Cash. November 7: A.P. dies in Maces Springs after a long illness. With the folk revival in full swing, the original Carter Family's songs are once more heard on the radio, sold on re-released records, and played by the likes of the Kingston Trio, Elvis Presley, and Flatt & Scruggs. June Carter joins Johnny Cash's road show, eventually persuading him to take on her mother and sisters as well. Johnny falls in love with June, and after a long courtship the two will finally wed on June 1, 1968. Sara and Maybelle reunite to perform at the Newport Folk Festival. 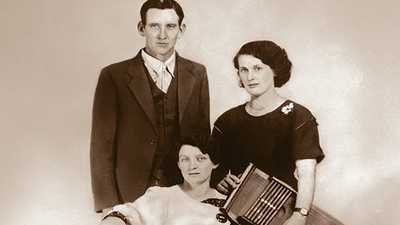 October 14: The Original Carter Family is inducted into the Country Music Hall of Fame, whose first member -- inducted on its establishment in 1961 -- had been their contemporary, Jimmie Rodgers. At her daughter Janette's request, Sara comes out of retirement to play a show with Maybelle at the Carter Fold in Maces Springs.